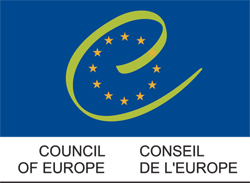 History and history teaching have been a focus for the Council of Europe’s work on education since its inception. From the start and as stated in the European Cultural Convention, the organisation recognised the importance of history as a basis for the education of the citizens of Europe and its role in bridging differences and bringing people together by establishing mutual understanding and confidence between the peoples of Europe. History teaching in perspective gives an overview of the changes that affected Europe and the Council of Europe since 1949 and how the instances of the Council of Europe responded to the changes. and on teacher training . The COE’s Education for Democratic Citizenship and Human Rights (EDC) is a set of practices and activities designed to help young people and adults play an active part in democratic life and exercise their rights and responsibilities in society. Education for democratic citizenship encompasses other related concepts, such as peace and intercultural education. Human rights education (HRE) is the core and indivisible part of democratic citizenship education. This entry was posted in English, French, Organizations, Partner, Spanish, West Europe. Bookmark the permalink.